Landscape format and is a large affair too measuring 13 ½” x 9 ½”. It comprises 16 pages of glossy paper between thin cardboard covers. 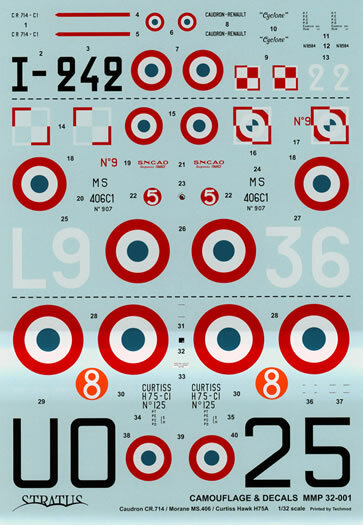 Excellent illustrations; markings for all three subjects in 1/48 and 1/32 scales. A first rate product from Mushroom Model Publications. Books that come with a decal sheet seem to be an emerging genre of late. 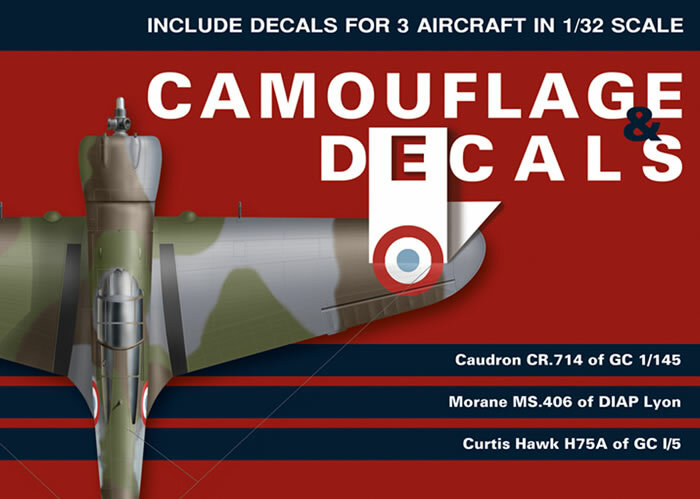 Mushroom Model Publications have joined the trend and have recently released a new series called Camouflage & Decals. The first of their new series is issued in both 1/48 and 1/32 scale. That is two separate books with the same text but with different scale decal sheets. Each option is treated to large four-view full colour drawings as well as period black and white photos. The book is in landscape format and is a large affair too measuring 13 ½” x 9 ½”. It comprises 16 pages of glossy paper between thin cardboard covers. The decals themselves have been produced by Techmod and come on a large sheet. They are thinly printed and in perfect register. The markings are complete and comprehensive with each option having its own set of national insignia. You are on your own for the tri-colour rudder markings as they have not been supplied in decal format. The decal sheet comes packed in a clear plastic zip-loc bag.